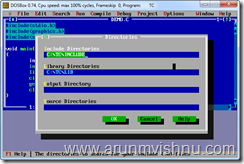 Turbo C 3.0 is an IDE for creating C/C++ programs which runs on MS Dos (Microsoft Disk Operating System). 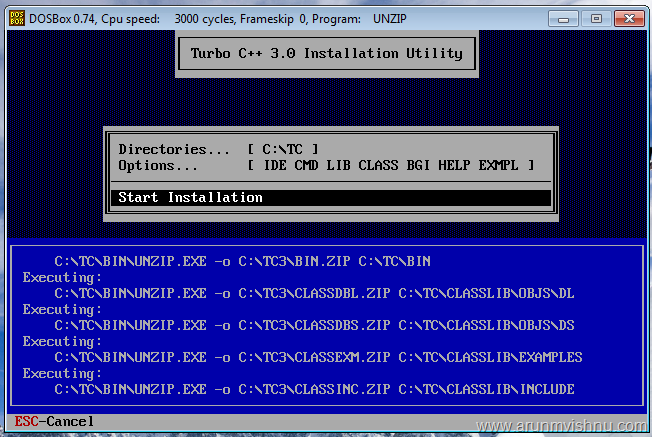 Up to Windows XP, Turbo C 3.0 IDE runs without any problem but it is not compatible on Windows Vista or Windows 7. 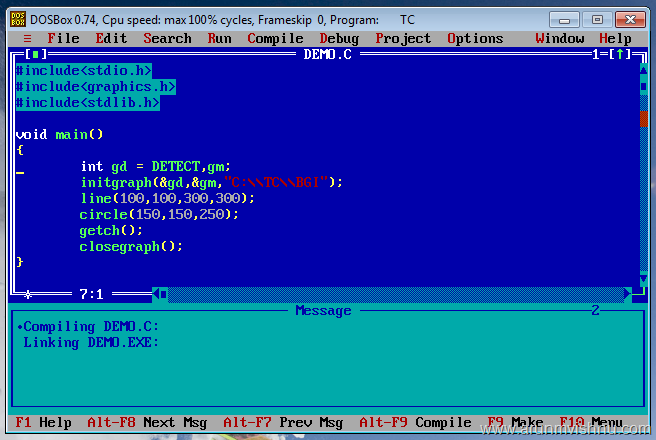 Many users(Especially Students ) use Turbo C IDE for writing C/C++ programs. 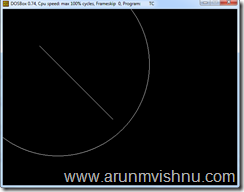 So today I am going to explain how you can run Turbo C++ IDE on Windows Vista or Windows 7. 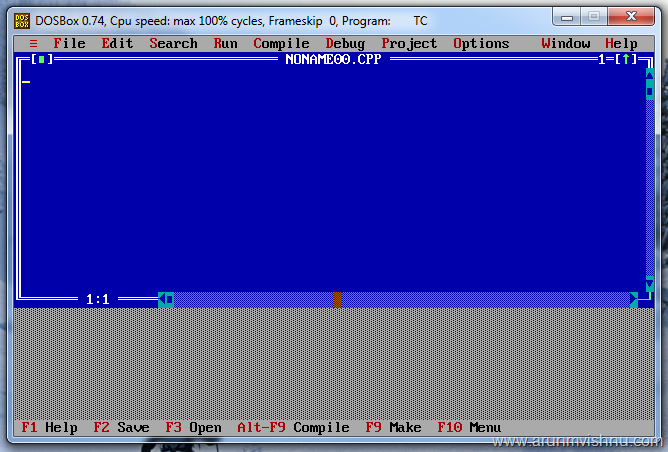 Method 1: Run Windows XP in Windows 7 using XP Mode and then run Turbo C from Windows XP. The new Windows XP Mode lets you run older Windows XP business software right on your Windows 7 desktop. 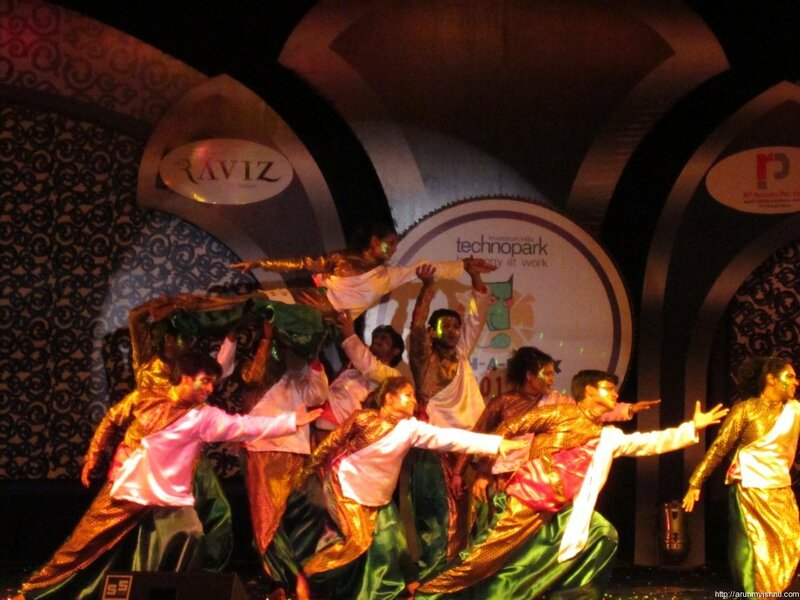 Windows XP Mode comes as a separate download and works only with Windows 7 Professional and Ultimate. 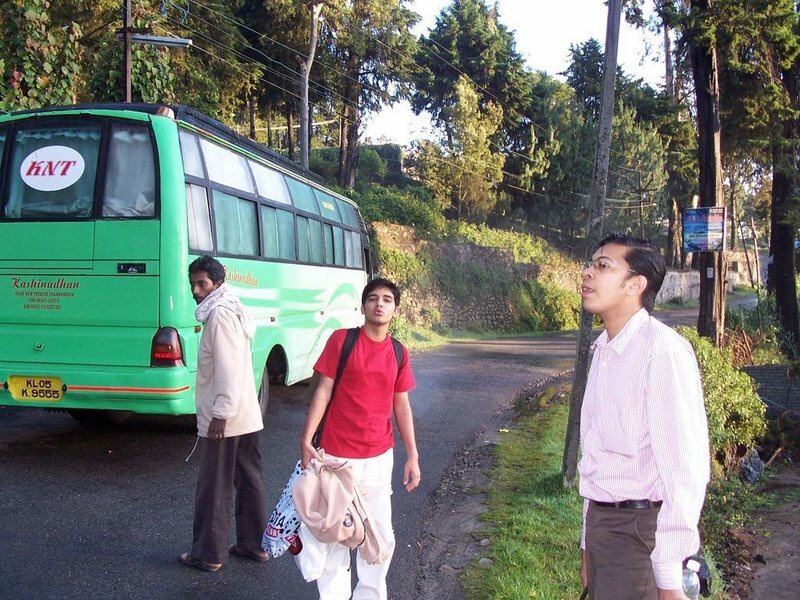 Windows XP Mode also requires virtualization software such as Windows Virtual PC. 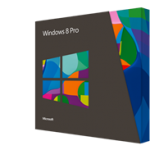 Both are available free on the Microsoft website. 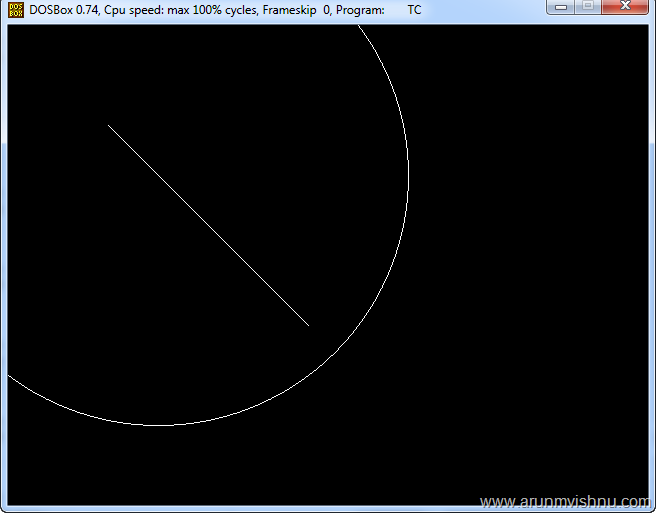 So if you are running Windows 7 Home Basic, this method will not work. So I am not explaining this method now. 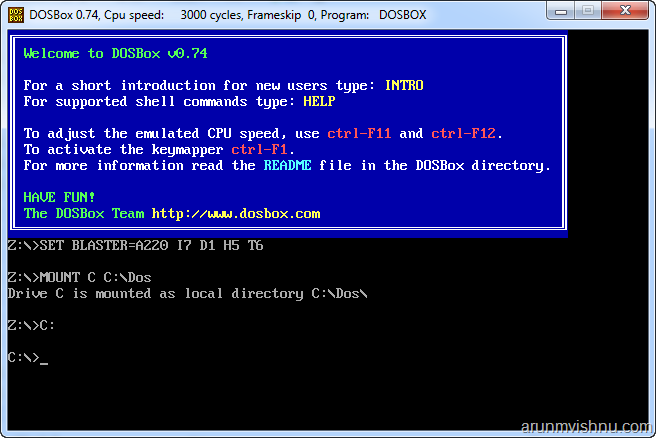 So you can run old DOS Games and DOS programs using the DOSBox. 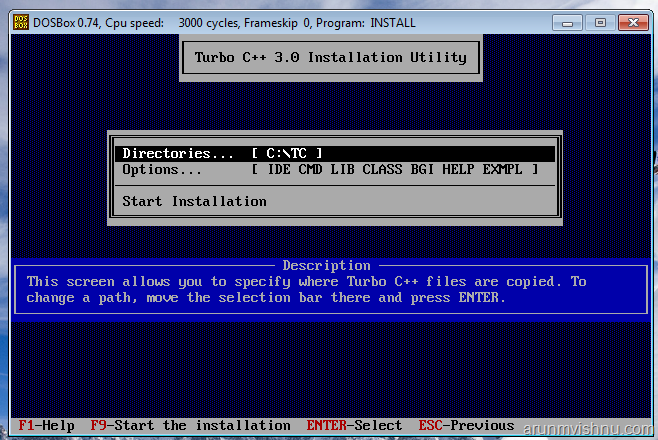 Follow the bellow steps to install Turbo C IDE. 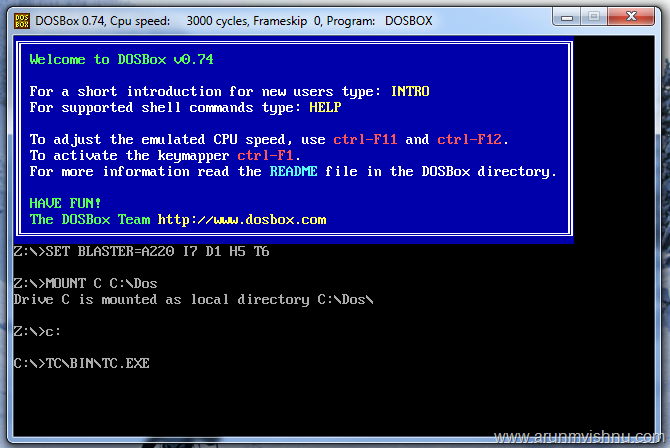 Create a folder for Dos Programs. 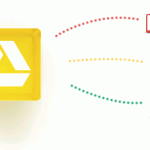 For example I am creating a folder ‘Dos’ in my ‘C’ drive. 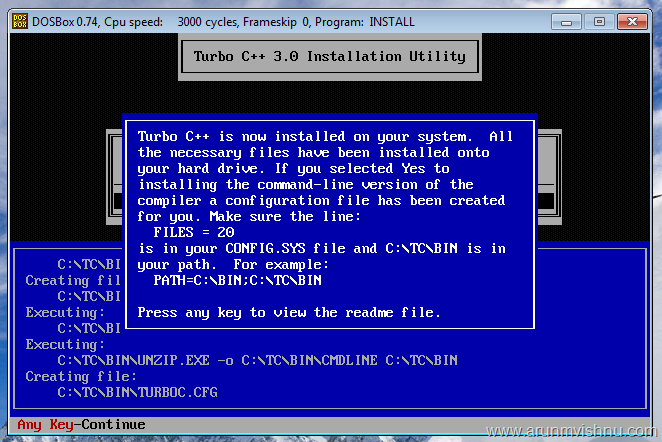 If you have Turbo C Installer, you need to install it. Step 7-10 are the installation steps. 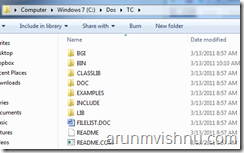 If you have the installed files ie a folder named TC or turbo c and inside that sub folders ‘BIN’, ‘BGI’ etc, goto step 11.
hay still tc doesnt runs ………………. output screen is not available.. what i will do.. please help me. @sadia sorry for taking thismuch time to reply.. can you tell me the the error message? 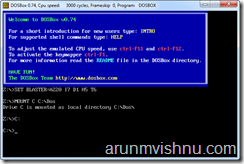 then just install dos box………create dos name folder in c drive…..
type commands given in 11 step……. i have done it very easily…..
step 8 doesn’t work.The error message is “Illegal command”. I have one issue, I am unable to install C++ on Windows Vista. Please tell me process step by step. 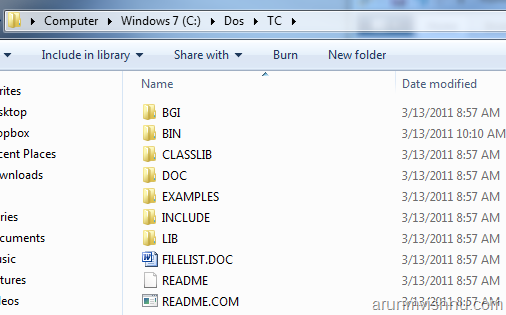 I have created the folder Dos containing the TC folder in it. Even then i am getting a problem with the command in step 11. 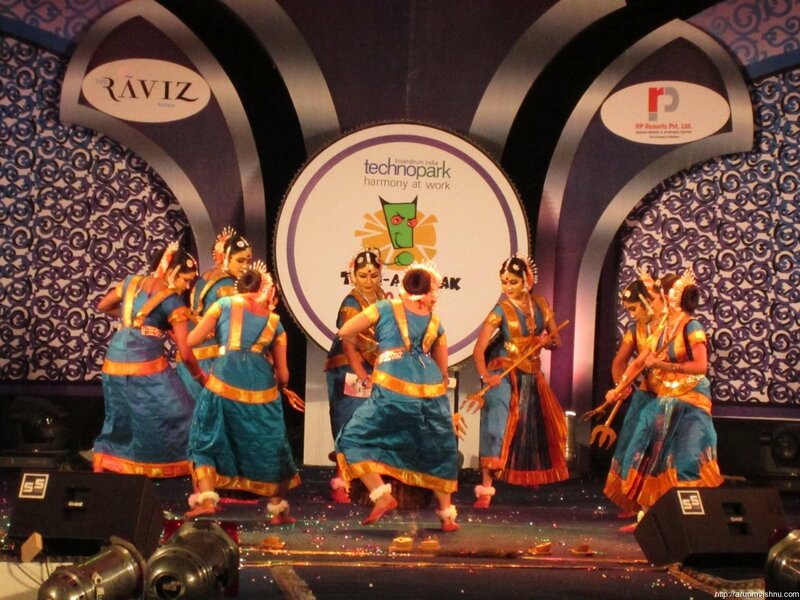 @Vishnu Priya Have you done step 5 and got output as mentioned in the screenshoot? 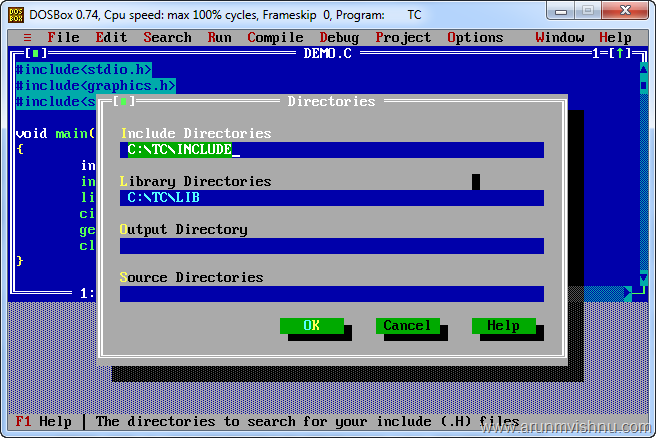 I have got the output for step 5 as mentioned in the screenshot.I also have a folder named TC with sub folders BIN,BGI etc inside the folder named Dos in C Drive.But i am not getting the output for the command given in step 11. Help me solving this issue.Thanks. 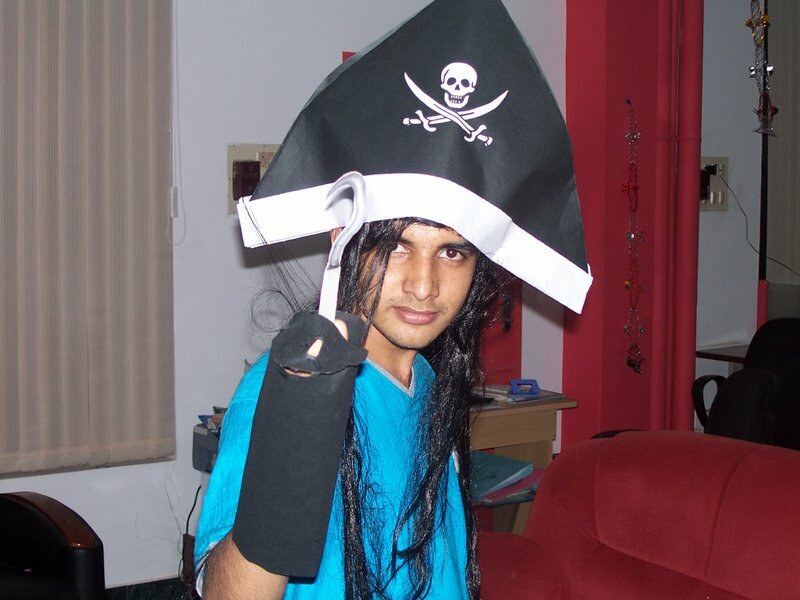 I loaded Turbo C in my laptop having XP Operating System. Please let me know how to run the same.